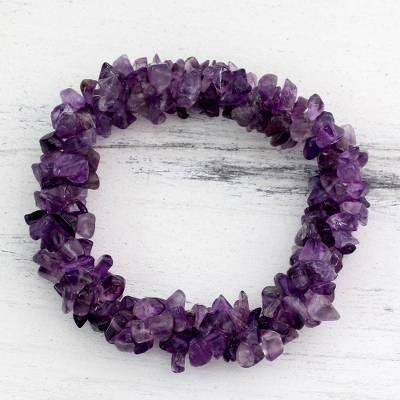 You can find amethyst stretch bracelet 'Lilac Muse' by Rituu Agarwal in jewelry categories such as Bollywood Bracelets, Birthstone Bracelets, Amethyst Bracelets, Nylon Bracelets, Stretch Bracelets and Beaded Bracelets. Enjoy exploring these sections for other Novica treasures. I love this item - the design is simple but very beautiful. Arrived in good time and was well packaged. Thank you! Novi?a never disappoints! Well made bracelet and the stones are so beautiful! Thank you so much ! ? ?